The Abbasid Caliphate ( /əˈbæsɪd/ or /ˈæbəsɪd/ Arabic : ٱلْخِلافَةُ ٱلْعَبَّاسِيَّة‎, al-Khilāfatu al-ʿAbbāsiyyah) was the third of the Islamic caliphates to succeed the Islamic prophet Muhammad. It was founded by a dynasty descended from Muhammad's uncle, Abbas ibn Abdul-Muttalib (566–653 CE), from whom the dynasty takes its name. They ruled as caliphs for most of the caliphate from their capital in Baghdad in modern-day Iraq, after having overthrown the Umayyad Caliphate in the Abbasid Revolution of 750 CE (132 AH). 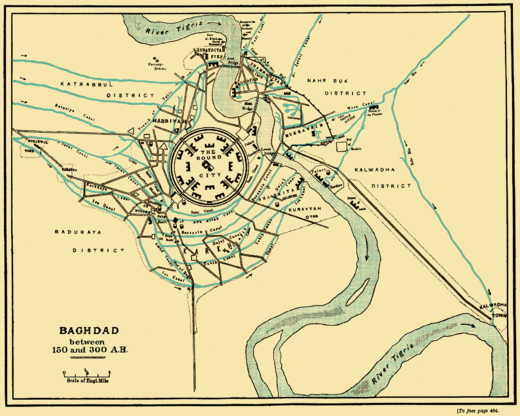 The round city of Baghdad is the original core of Baghdad, built by the Abbasid Caliph al-Mansur in AD 762–766 as the official residence of the Abbasid court. Its official name in Abbasid times was The City of Peace. The famous library known as the House of Wisdom was located within its grounds. 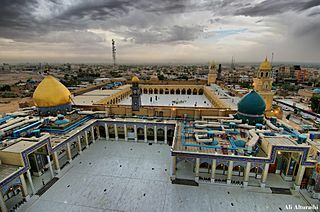 The Abbasid Caliphate first centred its government in Kufa, modern-day Iraq, but in 762 the caliph Al-Mansur founded the city of Baghdad, near the ancient Sasanian capital city of Ctesiphon. The Abbasid period was marked by reliance on Persian bureaucrats (notably the Barmakid family) for governing the territories as well as an increasing inclusion of non-Arab Muslims in the ummah (national community). Persianate customs were broadly adopted by the ruling elite, and they began patronage of artists and scholars. 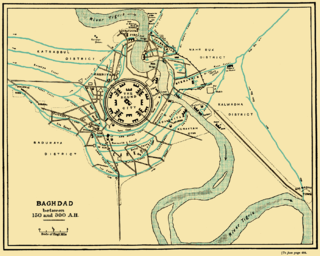 Baghdad became a centre of science, culture, philosophy and invention in what became known as the Golden Age of Islam. 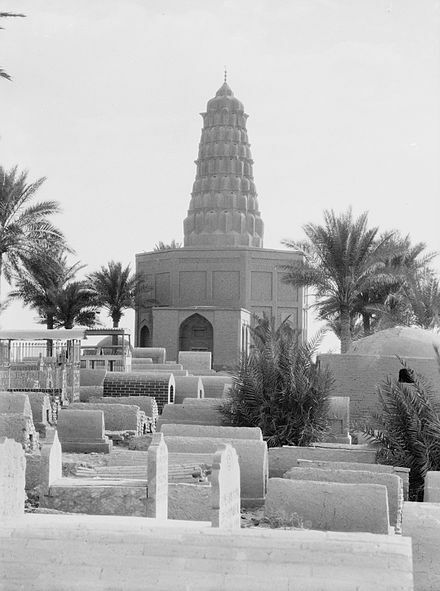 Kufa is a city in Iraq, about 170 kilometres (110 mi) south of Baghdad, and 10 kilometres (6.2 mi) northeast of Najaf. It is located on the banks of the Euphrates River. The estimated population in 2003 was 110,000. Currently, Kufa and Najaf are joined into a single urban area that is mostly commonly known to the outside world as 'Najaf'. Al-Mansur or Abu Ja'far Abdallah ibn Muhammad al-Mansur was the second Abbasid Caliph reigning from 136 AH to 158 AH and succeeding his brother Abu al-'Abbas al-Saffah. Al-Mansur is generally regarded as the real founder of the Abbasid Caliphate, one of the largest polities in world history, for his role in stabilizing and institutionalizing the dynasty. He is also known for founding the 'round city' of Madinat al-Salam which was to become the core of imperial Baghdad. Despite this initial cooperation, the Abbasids of the late 8th century had alienated both non-Arab mawali (clients)  and Iranian bureaucrats. They were forced to cede authority over al-Andalus (Spain) to the Umayyads in 756, Morocco to the Idrisid dynasty in 788, Ifriqiya to the Aghlabids in 800 and Egypt to the Isma'ili-Shia caliphate of the Fatimids in 969. Al-Andalus, also known as Muslim Spain, Muslim Iberia, or Islamic Iberia, was a medieval Muslim territory and cultural domain that in its early period occupied most of Iberia, today's Portugal and Spain. At its greatest geographical extent, it occupied the northwest of the Iberian peninsula and a part of present day southern France Septimania and for nearly a century extended its control from Fraxinet over the Alpine passes which connect Italy with the remainder of Western Europe. The name more generally describes the parts of the peninsula governed by Muslims at various times between 711 and 1492, though the boundaries changed constantly as the Christian Reconquista progressed, eventually shrinking to the south around modern-day Andalusia and then to the Emirate of Granada. 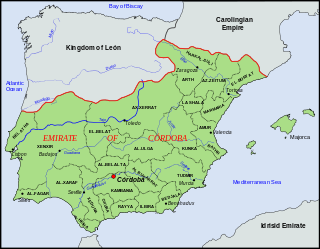 The Emirate of Córdoba was an independent emirate in the Iberian Peninsula ruled by the Umayyad dynasty with Córdoba as its capital. Al-Abbas ibn Abd al-Muttalib was paternal uncle and Sahabi (companion) of Muhammad, just three years older than his nephew. 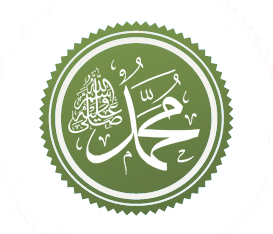 A wealthy merchant, during the early years of Islam he protected Muhammad while he was in Mecca, but only became a convert after the Battle of Badr in 624 CE (2 AH). His descendants founded the Abbasid Caliphate in 750. Banū Hāshim is a clan in the Quraysh tribe. The Islamic prophet, Muhammad was a member of this Arab tribe; his great-grandfather was Hashim ibn Abd Manaf, for whom the clan is named. Members of this clan are referred to as Hashemites. Descendants of Muhammed usually carry the titles Sayyid, Syed, Hashmi, Sayed and Sharif, or the Ashraf clan. The Abbasids also distinguished themselves from the Umayyads by attacking their moral character and administration in general. According to Ira Lapidus, "The Abbasid revolt was supported largely by Arabs, mainly the aggrieved settlers of Merv with the addition of the Yemeni faction and their Mawali". The Abbasids also appealed to non-Arab Muslims, known as mawali, who remained outside the kinship-based society of the Arabs and were perceived as a lower class within the Umayyad empire. Muhammad ibn 'Ali, a great-grandson of Abbas, began to campaign in Persia for the return of power to the family of Prophet Muhammad, the Hashimites, during the reign of Umar II. Merv was a major oasis-city in Central Asia, on the historical Silk Road, located near today's Mary in Turkmenistan. Several cities have existed on this site, which is significant for the interchange of culture and politics at a site of major strategic value. During the reign of Marwan II, this opposition culminated in the rebellion of Ibrahim the Imam, the fourth in descent from Abbas. Supported by the province of Khorasan (Eastern Persia), even though the governor opposed them, and the Shia Arabs,   he achieved considerable success, but was captured in the year 747 and died, possibly assassinated, in prison. The Abbasids had depended heavily on the support of Persians  in their overthrow of the Umayyads. 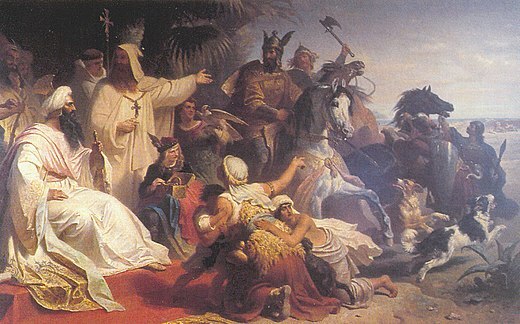 Abu al-'Abbas' successor, Al-Mansur welcomed non-Arab Muslims to his court. While this helped integrate Arab and Persian cultures, it alienated many of their Arab supporters, particularly the Khorasanian Arabs who had supported them in their battles against the Umayyads. In 756, the Abbasid Caliph Al-Mansur sent over 4,000 Arab mercenaries to assist the Chinese Tang dynasty in the An Shi Rebellion against An Lushan. The Abbasides or "Black Flags," as they were commonly called, were known in Tang dynasty chronicles as the hēiyī Dàshí, "The Black-robed Tazi", (黑衣大食) ("Tazi" being a borrowing from Persian Tāzī , the word for "Arab"). [nb 1] [nb 2] [nb 3] [nb 4] [nb 5] Al-Rashid sent embassies to the Chinese Tang dynasty and established good relations with them. [nb 6] [nb 7]      After the war, these embassies remained in China      with Caliph Harun al-Rashid establishing an alliance with China. 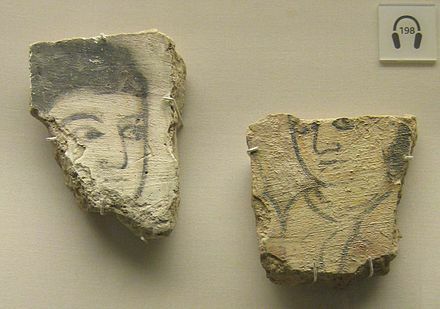 Several embassies from the Abbasid Caliphs to the Chinese court have been recorded in the T'ang Annals, the most important of these being those of Abul Abbas al-Saffah, the first Abbasid caliph, his successor Abu Jafar, and Harun al-Rashid. 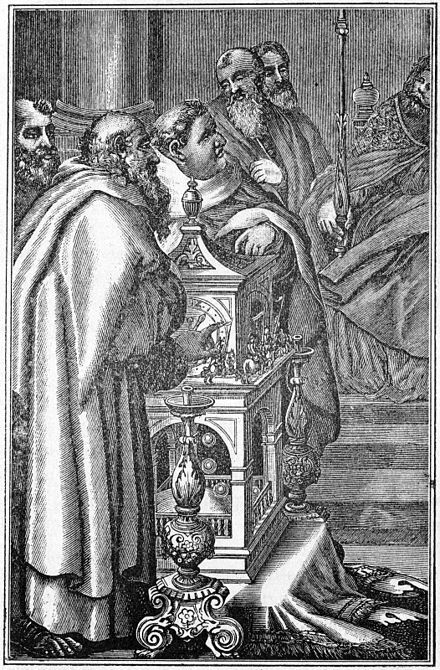 Harun al-Rashid receiving a delegation sent by Charlemagne at his court in Baghdad. Painting by German painter Julius Köckert [ fr ] (1827–1918), dated 1864. Oil on canvas. By the 920s, the situation had changed further, as North Africa was lost to the Abbasids. A Shia sect only recognizing the first five Imams and tracing its roots to Muhammad's daughter Fatima took control of Idrisid and then Aghlabid domains. 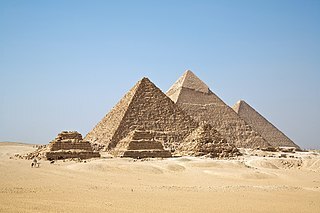 Called the Fatimid dynasty, they had advanced to Egypt in 969, establishing their capital near Fustat in Cairo, which they built as a bastion of Shia learning and politics. By 1000 they had become the chief political and ideological challenge to Sunni Islam in the form of the Abbasids. By this time the latter state had fragmented into several governorships that, while recognizing caliphal authority from Baghdad, did mostly as they wanted, fighting with each other. The Caliph himself was under 'protection' of the Buyid Emirs who possessed all of Iraq and western Iran, and were quietly Shia in their sympathies. With the Buyid dynasty on the wane, a vacuum was created that was eventually filled by the dynasty of Oghuz Turks known as the Seljuqs. 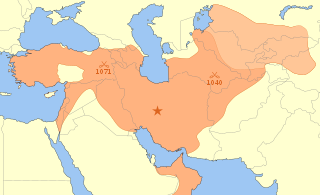 By 1055, the Seljuqs had wrested control from the Buyids and Abbasids, and took any remaining temporal power. When the amir and former slave Basasiri took up the Shia Fatimid banner in Baghdad in, the caliph al-Qa'im was unable to defeat him without outside help. Toghril Beg, the Seljuq sultan, restored Baghdad to Sunni rule and took Iraq for his dynasty. While the Caliph al-Mustarshid was the first caliph to build an army capable of meeting a Seljuk army in battle, he was nonetheless defeated in 1135 and assassinated. The Caliph al-Muqtafi was the first Abbasid Caliph to regain the full military independence of the Caliphate, with the help of his vizier Ibn Hubayra. After nearly 250 years of subjection to foreign dynasties, he successfully defended Baghdad against the Seljuqs in the siege of Baghdad (1157), thus securing Iraq for the Abbasids. The reign of al-Nasir (d. 1225) brought the caliphate back into power throughout Iraq, based in large part on the Sufi futuwwa organizations that the caliph headed. Al-Mustansir built the Mustansiriya School, in an attempt to eclipse the Seljuq-era Nizamiyya built by Nizam al-Mulk. 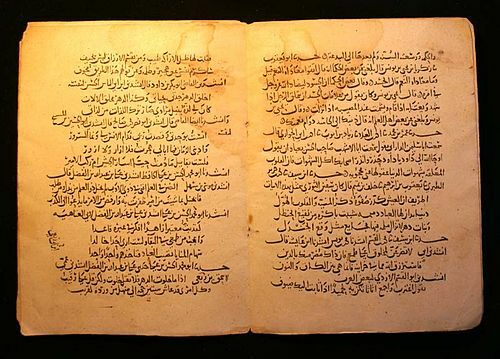 Algebra was significantly developed by Persian scientist Muhammad ibn Mūsā al-Khwārizmī during this time in his landmark text, Kitab al-Jabr wa-l-Muqabala , from which the term algebra is derived. He is thus considered to be the father of algebra by some,  although the Greek mathematician Diophantus has also been given this title. The terms algorism and algorithm are derived from the name of al-Khwarizmi, who was also responsible for introducing the Arabic numerals and Hindu-Arabic numeral system beyond the Indian subcontinent. 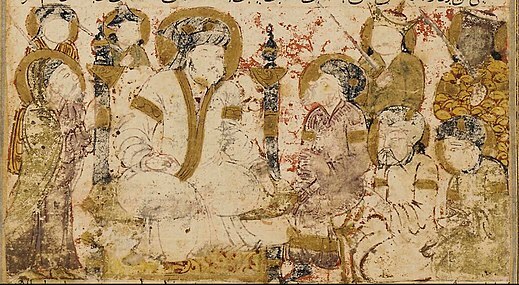 Medicine in medieval Islam was an area of science that advanced particularly during the Abbasids' reign. During the 9th century, Baghdad contained over 800 doctors, and great discoveries in the understanding of anatomy and diseases were made. The clinical distinction between measles and smallpox was described during this time. Famous Persian scientist Ibn Sina (known to the West as Avicenna) produced treatises and works that summarized the vast amount of knowledge that scientists had accumulated, and was very influential through his encyclopedias, The Canon of Medicine and The Book of Healing . The work of him and many others directly influenced the research of European scientists during the Renaissance. 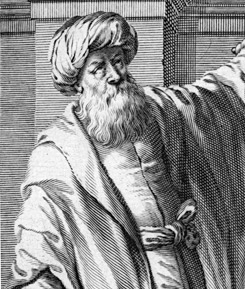 Astronomy in medieval Islam was advanced by Al-Battani, who improved the precision of the measurement of the precession of the Earth's axis. 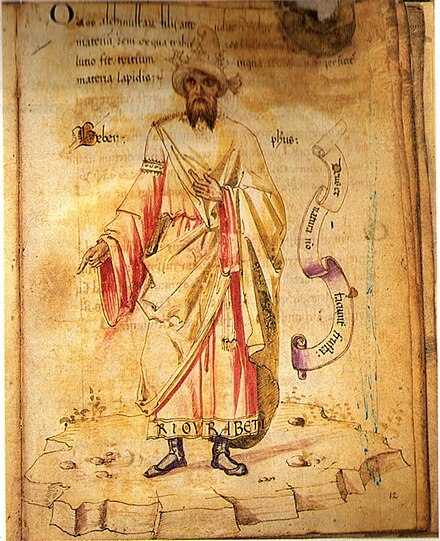 The corrections made to the geocentric model by al-Battani,[ citation needed ] Averroes,[ citation needed ] Nasir al-Din al-Tusi, Mo'ayyeduddin Urdi and Ibn al-Shatir were later incorporated into the Copernican heliocentric model. The astrolabe, though originally developed by the Greeks, was developed further by Islamic astronomers and engineers, and subsequently brought to medieval Europe. The best known fiction from the Islamic world is The Book of One Thousand and One Nights , a collection of fantastical folk tales, legends and parables compiled primarily during the Abbassid era. The collection is recorded as having originated from an Arabic translation of a Sassanian era Persian prototype, with likely origins in Indian literary traditions. Stories from Arabic, Persian, Mesopotamian, and Egyptian folklore and literature were later incorporated. The epic is believed to have taken shape in the 10th century and reached its final form by the 14th century; the number and type of tales have varied from one manuscript to another. All Arabian fantasy tales were often called "Arabian Nights" when translated into English, regardless of whether they appeared in The Book of One Thousand and One Nights. This epic has been influential in the West since it was translated in the 18th century, first by Antoine Galland. Many imitations were written, especially in France. Various characters from this epic have themselves become cultural icons in Western culture, such as Aladdin, Sinbad and Ali Baba. Advances were made in irrigation and farming, using new technology such as the windmill. Crops such as almonds and citrus fruit were brought to Europe through al-Andalus, and sugar cultivation was gradually adopted by the Europeans. Apart from the Nile, Tigris and Euphrates, navigable rivers were uncommon, so transport by sea was very important. Navigational sciences were highly developed, making use of a rudimentary sextant (known as a kamal). When combined with detailed maps of the period, sailors were able to sail across oceans rather than skirt along the coast. Abbasid sailors were also responsible for reintroducing large three masted merchant vessels to the Mediterranean. The name caravel may derive from an earlier Arab ship known as the qārib. Arab merchants dominated trade in the Indian Ocean until the arrival of the Portuguese in the 16th century. Hormuz was an important center for this trade. There was also a dense network of trade routes in the Mediterranean, along which Muslim countries traded with each other and with European powers such as Venice or Genoa. The Silk Road crossing Central Asia passed through Abbasid caliphate between China and Europe. The marketing of human beings, particularly women, as objects for sexual use meant that elite men owned the vast majority of women they interacted with, and related to them as would masters to slaves. Being a slave meant relative lack of autonomy during this time period, and belonging to a harem caused a wife and her children to have little insurance of stability and continued support due to the volatile politics of harem life. The Abbasid Caliphate differed from others in that it did not have the same borders and extent as Islam. Particularly, in the west of the Caliphate, there were multiple smaller caliphates that existed in relative peace with them. This list represents the succession of Islamic dynasties that emerged from the fractured Abbasid empire by their general geographic location. Dynasties often overlap, where a vassal emir revolted from and later conquered his lord. Gaps appear during periods of contest where the dominating power was unclear. Except for the Fatimid Caliphate in Egypt, recognizing a Shia succession through Ali, and the Andalusian Caliphates of the Umayyads and Almohads, every Muslim dynasty at least acknowledged the nominal suzerainty of the Abbasids as Caliph and Commander of the Faithful. 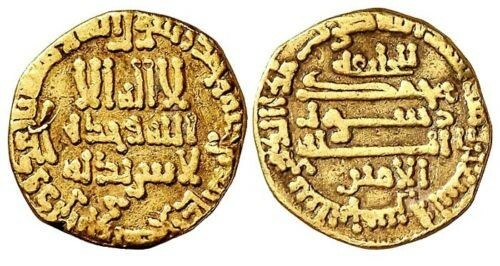 In 656 AH/1258 CE, the year of the fall of Baghdad, and following the sack of the city, a few surviving members of the Abbasid dynastic family led by the eldest amongst them, Ismail II son of Hamza son of Ahmed son of Mohamed, [nb 8] made their way into the region of Fars in Southern Persia. They settled in the city of Khonj, then a great centre for learning and scholarship. Shaikh Abdulsalam Khonji (b. 661 AH – d. 746 AH) son of Abbas son of Ismail II was born in Khonj only five years after the fall of Baghdad and the arrival of his grandfather in the city. He became a great religious scholar and Sufi saint, held in high esteem by the local populace. His tomb still stands in Khonj and is a site visited by people from near and far. Shaikh Mohamed Khan Bastaki was the first Abbasid ruler of Bastak to hold the title of "Khan" (Persian: خان, Arabic: الحاكم), meaning "ruler" or "king", which was bestowed upon him by Karim Khan Zand. The title then became that of all the subsequent Abbasid rulers of Bastak and Jahangiriyeh, and also collectively refers in plural form – i.e., "Khans" (Persian: خوانين) – to the descendants of Shaikh Mohamed Khan Bastaki. The last Abbasid ruler of Bastak and Jahangiriyeh was Mohamed A’zam Khan Baniabbassian son of Mohamed Reza Khan "Satvat al-Mamalek" Baniabbasi. He authored the book Tarikh-e Jahangiriyeh va Baniabbassian-e Bastak (1960),  in which is recounted the history of the region and the Abbasid family that ruled it. Mohamed A’zam Khan Baniabbassian died in 1967, a year regarded as marking the end of the Abbasid reign in Bastak. Abu al-‘Abbās ‘Abdu'llāh ibn Muhammad al-Saffāḥ, or Abul `Abbas as-Saffaḥ was the first caliph of the Abbasid caliphate, one of the longest and most important caliphates in Islamic history. Abu Muslim Abd al-Rahman ibn Muslim al-Khurasani, was a Persian general in service of the Abbasid dynasty, who led the Abbasid Revolution that toppled the Umayyad dynasty. Zaidiyyah or Zaidism is one of the Shia sects closest in terms of theology to the Ibadhi and Mutazila schools. Zaidiyyah emerged in the eighth century out of Shi'a Islam. Zaidis are named after Zayd ibn ʻAlī, the grandson of Husayn ibn ʻAlī and the son of their fourth Imam Ali ibn 'Husain. Followers of the Zaydi Islamic jurisprudence are called Zaydi and make up about 50% of Muslims in Yemen, with the vast majority of Shia Muslims in the country being Zaydi. The Battle of the Zab took place on the banks of the Great Zab river in what is now Iraq on January 25, 750. It spelled the end of the Umayyad Caliphate and the rise of the Abbasids, a dynasty that would last until the 13th century. An Abbasid–Carolingian alliance was attempted and partially formed during the 8th to 9th century through a series of embassies, rapprochements and combined military operations between the Frankish Carolingian Empire and the Abbasid Caliphate and pro-Abbasid rulers in Al Andalus. 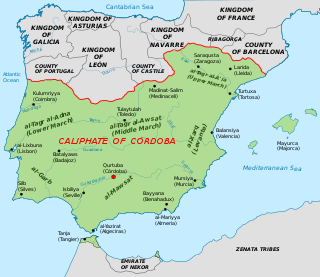 The Caliphate of Córdoba was a state in Islamic Iberia along with a part of North Africa ruled by the Umayyad dynasty. The state, with the capital in Córdoba, existed from 929 to 1031. The region was formerly dominated by the Umayyad Emirate of Córdoba (756–929). The period was characterized by an expansion of trade and culture, and saw the construction of masterpieces of al-Andalus architecture. In January 929, Abd ar-Rahman III proclaimed himself Caliph of Córdoba, replacing thus his original title of Emir of Córdoba. He was a member of the Umayyad dynasty, which had held the title of Emir of Córdoba since 756. 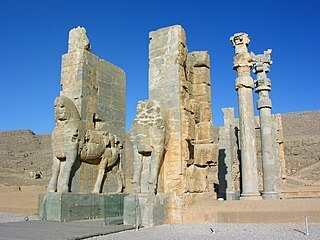 The history of Nishapur begins with the city's founding during the Sasanian dynasty ; the city is located in the eastern province of Khorasan and served as the seat of the governor and commander in chief of the province. The Abbasid Revolution refers to the overthrow of the Umayyad Caliphate, the second of the four major Caliphates in early Islamic history, by the third, the Abbasid Caliphate. Coming to power three decades after the death of the Muslim prophet Muhammad and immediately after the Rashidun Caliphate, the Umayyads were a feudal Arab empire ruling over a population which was overwhelmingly non-Arab as well as primarily non-Muslim. Non-Arabs were treated as second-class citizens regardless of whether or not they converted to Islam, and this discontent cutting across faiths and ethnicities ultimately led to the Umayyads' overthrow. The Abbasid family claimed to have descended from al-Abbas, an uncle of the Prophet. The Banu Umayya or Umayyads (الأمويون), were the ruling family of the caliphate between 661 and 750 and later of Islamic Spain between 750 and 1031. In the pre-Islamic period, they were a prominent clan of the Quraysh tribe descended from Umayya ibn Abd Shams. 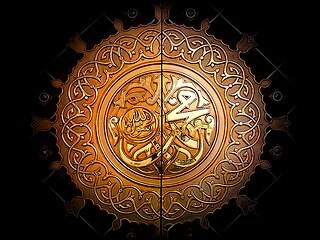 Despite staunch opposition to the Islamic prophet Muhammad, the Umayyads embraced Islam before the latter's death in 632. A member of the clan, Uthman, went on to become the third Rashidun caliph in 644–656, while other members held various governorships. One of these governors, Mu'awiya I, won the First Muslim Civil War in 661 and established the Umayyad Caliphate with its capital in Damascus, Syria. This marked the beginning of the Umayyad dynasty, the first hereditary dynasty in the history of Islam, and the only one to rule over the entire Islamic world of its time. ↑ The Abbasid Revolution against the Umayyad Caliphate adopted black for its rāyaʾ for which their partisans were called the musawwids. Tabari (1995), Jane McAuliffe, ed., Abbāsid Authority Affirmed, 28, SUNY, p. 124 Their rivals chose other colours in reaction; among these, forces loyal to Marwan II adopted red. Patricia Crone (2012). The Nativist Prophets of Early Islam. p. 122. . The choice of black as the colour of the Abbasid Revolution was already motivated by the "black standards out of Khorasan" tradition associated with the Mahdi. The contrast of white vs. black as the Umayyad vs. Abbasid dynastic colour over time developed in white as the colour of Shia Islam and black as the colour of Sunni Islam: "The proselytes of the ʿAbbasid revolution took full advantage of the eschatological expectations raised by black banners in their campaign to undermine the Umayyad dynasty from within. Even after the ʿAbbasids had triumphed over the Umayyads in 750, they continued to deploy black as their dynastic colour; not only the banners but the headdresses and garments of the ʿAbbasid caliphs were black [...] The ubiquitous black created a striking contrast with the banners and dynastic color of the Umayyads, which had been white [...] The Ismaili Shiʿite counter-caliphate founded by the Fatimids took white as its dynastic color, creating a visual contrast to the ʿAbbasid enemy [...] white became the Shiʿite color, in deliberate opposition to the black of the ʿAbbasid 'establishment'." Jane Hathaway, A Tale of Two Factions: Myth, Memory, and Identity in Ottoman Egypt and Yemen, 2012, p. 97f. After the revolution, Islamic apocalyptic circles admitted that the Abbasid banners would be black but asserted that the Mahdi's standard would be black and larger. David Cook (2002). Studies in Muslim Apocalyptic, p. 153. Anti-Abbasid circles cursed "the black banners from the East", "first and last". Patricia Crone (2012). The Nativist Prophets of Early Islam. p. 243. 1 2 3 4 5 6 7 8 Hoiberg 2010, p. 10. ↑ Canfield, Robert L. (2002). Turko-Persia in Historical Perspective. Cambridge University Press. p. 5. ISBN 9780521522915. ↑ "ABŪ MOSLEM ḴORĀSĀNĪ – Encyclopaedia Iranica". www.iranicaonline.org. Archived from the original on 22 November 2015. Retrieved 20 November 2015. ↑ Finer, S. E. (1999-01-01). The History of Government from the Earliest Times: Volume II: The Intermediate Ages p.720. OUP Oxford. ISBN 9780198207900. 1 2 3 4 5 6 Dupuy & Dupuy 1986, p. 233. 1 2 Chisholm, Hugh, ed. (1911). "Abbasids" . Encyclopædia Britannica . 1 (11th ed.). Cambridge University Press. p. 10. 1 2 Grant & Clute 1999 , p. 51. ↑ Phillips, Douglas A.; Gritzner, Charles F. (2010). Syria. Infobase Publishing. ISBN 9781438132389. 1 2 Abbott, Nabia. Two queens of Baghdad: mother and wife of Hārūn al Rashīd. University of Chicago Press, 1946. ↑ Kennedy, H. (15 December 1988). "BAGHDAD i. 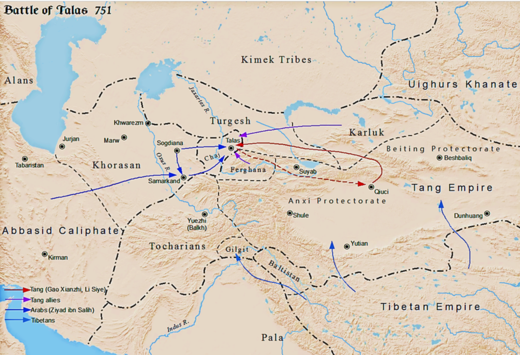 The Iranian Connection: Before the Mongol Invasion". Iranica Online . III. pp. 412–415. Archived from the original on 17 November 2011. Retrieved 22 August 2011. ↑ Morony, Michael (15 December 2006). "IRAQ i. IN THE LATE SASANID AND EARLY ISLAMIC ERAS". Iranica Online . XIII. pp. 543–550. Archived from the original on 29 February 2012. Retrieved 30 March 2012. ↑ Michele, Campopiano,. "State, Land Tax and Agriculture in Iraq from the Arab Conquest to the Crisis of the Abbasid Caliphate (Seventh-Tenth Centuries)". 107. Archived from the original on 13 September 2018. Retrieved 19 October 2015. Bosworth, C.; Van Donzel, E.; Lewis, B.; Pellat, Ch. (1983). EncyclopeÌ die de l’Islam[The Encyclopedia of Islam] (in French). V (New ed.). Leiden, Netherlands: E.J. Brill. Frazier, Ian (25 April 2005). "Invaders: Destroying Baghdad". The New Yorker . 81 (10): 48–55. ISSN 0028-792X. Hermann, Heinrich (1912). Chinesische Geschichte[Chinese History] (in German). D. Gundert. Vallely, Paul (11 March 2006). "How Islamic Inventors Changed the World". The Independent . London, UK. Archived from the original on 3 May 2015. Wikimedia Commons has media related to Abbasid Caliphate . Wikisource has the text of the 1921 Collier's Encyclopedia article Abbassides . "Abbassides, The" . New International Encyclopedia . 1905.